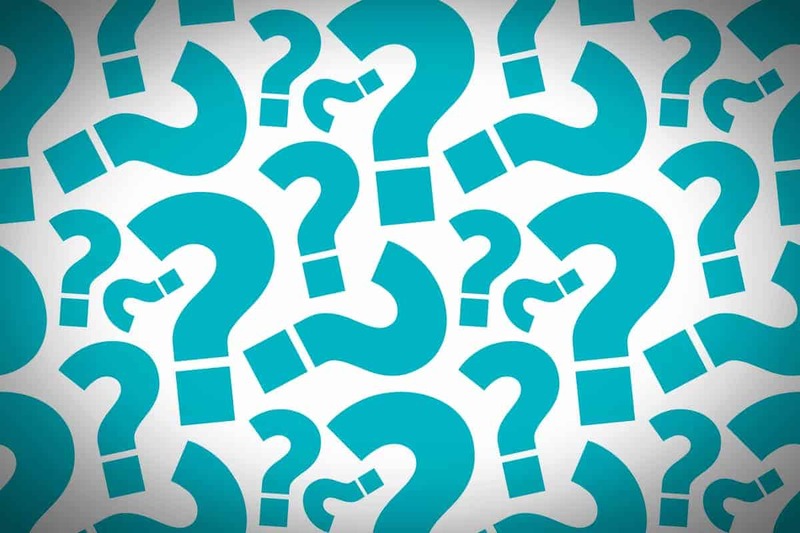 Here’s a list of questions (with answers for ThreeWill) that we suggest that you ask when talking to service providers about migrating from Jive to Microsoft. How do you handle the transformation of all the Links/URL’s in Jive as all the content moves to new URLs and destinations in SP/O365? Do you transform links to people and places as well? We have a dedicated action in our utilities for handling link transformation. The link types include people-referencing links, place-referencing links, and content (content type) referencing links. We use regular expression patterns to scan content, capture links in our inventory database along with the replacement link. The replacement link is produced based on the type and dedicated business logic. We retain the original content in our database and represent all replacement links in a separate “Transformed Content” field that is used for SharePoint. This allows us to know exactly what links were found and replaced. We also retain all the original content from Jive. We have other utilities to scan the migrated SharePoint content and search for broken or lingering Jive links; as well as a way to repair these broken/Jive links in-place in SharePoint. This link repair/replacement process does not disrupt the created/created by and modified/modified by values. To properly handle links to people, we work with each customer to determine the target profile page and work to ensure a user’s profile can be properly represented in the target environment. To properly handle links to places, we rely on our destination mapping methodology/formulas to properly construct the target place URL. How do you handle migration of Jive security groups and associated permissions for both Groups and Spaces? How do you preserve the security around Private and Secret Groups? During the inventory process, we pull all Jive people and places into a database. This process also involves capturing ALL security groups via the Jive API. We do a deep pull of each security group to also capture members/administrators. As we are pulling Jive places into inventory, we check to see if we are working with a Jive group or a Jive space. If we are working with a Jive group, we pull all the group members/owners into a specific table of our database. If we are working with a Jive space, we pull the respective “Applied Entitlements” (which are at the content type level and related to the previously pulled security groups). This allows us to represent security for both groups/spaces and makes it possible for us to do detailed reporting and planning for how permissions will be applied in the target environment. We have a default way to apply permissions to the target SharePoint sites but typically work with each migration customer to further define the rules for applying permissions. How do you migrate comments associated with all of the different content types in Jive? How are these comments stored in SP/O365? We capture all comments and retain the threaded relationship of comments in the database. Comments are transformed (as described above) in the same way as content. We have a couple of different options related to how comments are migrated. One way is to incorporate all comments into the actual content pages (wiki pages in SharePoint). These comments are fixed (more of an archive). Another way is to put all comments into a Yammer thread that can be surfaced as a web part in SharePoint. Overall, the challenge is that SharePoint does not really support the rich commenting in the same way that Jive does… so we have to work with each migration customer to determine the best way to make comments useful/manageable. How do you migrate all of the different types of video content in Jive – attached, embedded, etc? We are able to pull video content that has been uploaded to Jive (and may or may not be hosted by a third party). Typically, we create a video asset library in SharePoint and leverage a separate media streaming server/environment for handling video streaming. If the videos are consistently small enough, the video “can” be stored directly in SharePoint… but typically we have found it best to reference videos from a media server/platform. This is another area where we work through individual customer requirements to determine the best video solution. For embedded videos, we capture the embed details so that the respective video and be embedded in the target SharePoint site. How do you migrate all image content to SP/O365 and how do you maintain the linkage/references to these images once they are stored in SP/O365? All images and referenced binary content (attachments, binary file content (Word documents, Excel spreadsheets, etc.)) are organized and consistently stored in a dedicated SharePoint document library. Referencing content, which may be a wiki page, blog post, discussion list item or reply all reference images, attachments, etc. that have been stored in this dedicated SharePoint document library. Do you maintain the author/editor of the content when it is migrated to SP/O365? Yes. We do maintain the author/editor in all places where possible. In the case where a person has left the company and/or cannot be found in the target SharePoint environment, we also work with each migration customer to determine the best profile to represent ownership. Do you maintain the created/modified timestamps of the content when it is migrated to SP/O365? Yes. When organizations do a manual move of content, this is one of the key limitations. Content’s timestamp is key to understanding the value of the content. Content created 2 weeks ago vs 2 years ago can be a key indicator of the relevance of the content. How do you handle changes that occur in Jive during the migration? Do you have a delta/incremental migration? Yes. We capture the date/time that content is pulled from Jive AND when it is actually uploaded into SharePoint. Our utilities can pull deltas (additions and changes) since content, comments, message, etc. were last changed in Jive and can focus just on transforming/uploading the specific delta-based content. This allows us to pull content from Jive, upload it to SharePoint in batches and during specific hours. We leverage our delta capability to pull, transform, and upload content right before a site is targeted to go “live”. Since working with deltas involves a much smaller amount of content than the complete set of content, we can leverage the delta process to best align with migration scheduling/release. What is your process for mapping Jive places to SharePoint sites? Do you have the ability to bundle several Jive places in a single SharePoint site collection or split a Jive space hierarchy into several SharePoint site collections? We produce a consolidated view of all places with a roll up on content details into a spreadsheet we call the Inventory. This Inventory spreadsheet has additional fields for SharePoint site collection, sub-site, and managed path values. We leverage formulas and the Jive place-based URL to build the required site collections and paths to all target SharePoint sites. This detail can be manipulated and customized across the board based on customer requirements. We can also customize for individual sites. This constitutes as the mapping that is put into our SQL Server-based inventory database. The transform and upload operations (as described in the above items) leverages this mapping information to accurately reference content as it lives in SharePoint. Here are some more questions to ask – we’d love to discuss these (and more) when you’re talking to us about the migration. How do you determine what specific places are part of a Jive environment? Basically, how do you capture your inventory? How do you determine what places should and should not be migrated? Are you able to forecast how long a migration will take? If I want to customize or re-organize my content during the migration planning, what options do I have? Are you able to coordinate and collaborate with 3rd party vendors during migration planning and delivery? Can you provide multiple customer references for companies that you have successfully migrated from Jive to Microsoft?